On November 21, 1694, François-Marie Arouet was born, known by his nom de plume Voltaire, French philosopher during the Age of Enlightenment, re-known by his wits, prolific writer of novels, poems, essays, and letters, and dear friend of Prussian king Frederick the Grea. Voltaire was born in Paris to a son of a lawyer and began studying first Latin and Greek and later on Italian and Spanish. The decision to become a writer was made by Voltaire early and without the support of his father who always planned his son to follow his footsteps. Against Voltaire’s wishes, he was sent to law school, but continued writing poetry secretly. The young thinker was known to have difficult character traits and opinions, wherefore he often had trouble with governmental officials and the church due to his opposing views towards religion. Increasingly, aristocratic houses also opened up for him, where he was valued as a versatile poet and above all as an author of witty, often mocking poems. One of his most distinguished addresses was the small court of a legitimate son of Louis XIV, the Duc du Maine, and his wife Bénédicte, who was interested in literature and art. Maine had been appointed regent of the young Louis XV in 1715 by his dying father together with his cousin Philipp von Orléans, but had been cold-set by Philip with the help of the Parisian Parliament. In 1716 Voltaire read a satirical poem to the Maines in which he alluded to the rumour that Philip maintained an incestuous relationship with his daughter Marie Louise Élisabeth d’Orléans, Duchess of Berry. Of course Philip learned of this and exiled Voltaire from Paris in his capacity as regent. 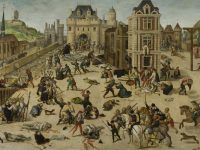 Only after a few months, most of which he spent as a guest at the castle of the young Duc de Sully, was he allowed to return, after he had addressed a begging and homage epistle to Philip. Hardly in Paris, however, he wrote a new satire. In the presence of a police informer he again made highly offensive comments about the Duchess of Berry. This time the punishment was harsher: In May 1717 he was imprisoned in the Bastille. 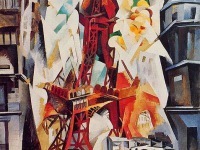 Thanks to the intercession of influential patrons, he was released from prison after eleven months, but remained banished from Paris for the time being. When he returned there in October 1718 after almost one and a half years, he appeared from 12 June 1718 under the new name “de Voltaire”. When his father died in 1722, Voltaire inherited part of his fortune. In 1726 the Chevalier de Rohan, offspring of an old noble family, had him beaten up by his servants. Voltaire had sniffily answered Rohan’s mocking question as to how he came to his new name: “I am the first of my name, you are only the last“. Outraged at the beating, Voltaire took fencing lessons to challenge the Chevalier to a duel. However, the Rohans obtained a royal warrant for his arrest, and he returned to the Bastille. Since he was now famous, the king offered him freedom on the condition that he leave France. Voltaire accepted and went to England, where the industrial revolution was imminent. He was fascinated by the intellectual and economic upheaval and the relatively great spiritual freedom and social mobility in this multiconfessional society where religion was a private matter and the power of the king and the privileges of the nobility were limited. 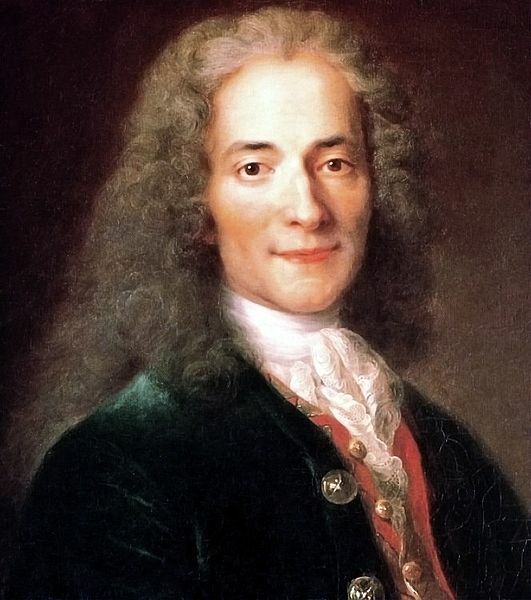 For a Frenchman at that time not at all self-evident, Voltaire learned to speak English, read and also write. Among other things, he studied the works of the empiricist and theorist of the common sense John Locke  and the dramas of William Shakespeare. He also studied the revolutionary theories of the physicist and astronomer Isaac Newton and other new scientific and technical discoveries.After returning to Paris, he published his new ideas wherefore the French government felt attacked by Voltaire and he was again forced to leave Paris. Voltaire then withdrew to the small castle of Cirey in Champagne, which belonged to the Marquis Florent Claude du Chastellet, the husband of his new lover Émilie du Châtelet. Over the next ten years, he lived an unsettled wandering life with the centre in Cirey, which he had rebuilt at his expense, and with Émilie du Châtelet as his closest friend. 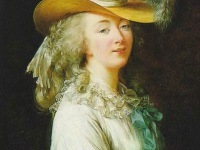 Thanks to Madame du Châtelet, an active naturalist and mathematician, Voltaire developed a deeper interest in the natural sciences. In 1734, they both responded to a prize question from the Académie des sciences on the nature of fire and each submitted a treatise in which they attempted a physical explanation. 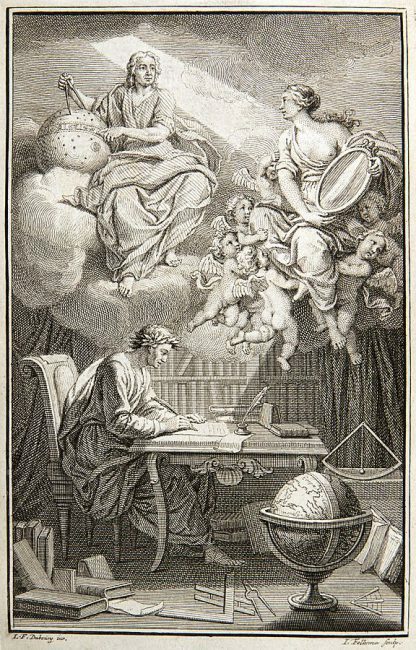 Inspired by Mme du Châtelet’s occupation with the English physicist and astronomer Isaac Newton (whose Philosophiae naturalis principia mathematica she later translated), Voltaire wrote in 1736/37 the non-fiction-like work Éléments de la philosophie de Newton, in which he presented his groundbreaking theories, which were still little known in France. Already since 1736 Voltaire was in letter contact with the almost twenty years younger crown prince Frederick of Prussia and was courted by him. After the death of his lover Émilie du Châtelet Voltaire accepted the invitation of Frederick the Great and went to his court in Sanssouci  in the summer of 1750. The scholar received the well endowed office of a royal chamberlain and was treated like a high-ranking guest. In 1750 Frederick II was one of the few civilians to award him the Order of Pour le Mérite, which was donated for military service. In 1751 he published his “Siècle de Louis XIV” in Berlin, a representation of the French history of the 17th century. In it he assigned a central role to cultural history and thus set new standards for historiography. His cultural-historical orientation became even clearer in the “Abrégé de l’Histoire universelle“, which he published in sections in the Mercure de France in 1750/51. In 1751 the only complete edition of his works appeared in eleven volumes, which could be printed in France during his lifetime with the toleration of censorship. His relationship with Frederick was already suffering at the beginning of 1751, when he learned that his new chamberlain had entered into an unauthorized securities transaction with Saxon state bonds (so-called tax anticipation certificates) in Berlin. Voltaire’s quarrels with other courtiers finally led to Frederick’s deep indignation. Voltaire was outraged by the widespread homosexuality at court. During a stay in the Free Imperial City of Frankfurt on 31 May 1753 he was suspected of having stolen a lyrical manuscript of the king, subjected it to a baggage check and placed under house arrest in his hotel, the Württemberger Hof. The clarification of the mattear was associated with humiliating circumstances, which triggered several public protests. As early as 1757, however, Frederick’s sister Wilhelmine mediated a reconciliation between the king and Voltaire, and they exchanged polite letters again. After staying at several smaller German courts, Voltaire waited in vain in the Alsatian cities of Strasbourg and Colmar for permission to return to Paris and rejoin his Versailles court offices. He moved to his estate in Geneva. In 1756 he began his collaboration with the Encyclopédie, the great encyclopedia initiated by Diderot and d’ Alembert in 1746, which caused him new trouble in Geneva in 1757 because of the critical Encyclopédie article “Genève”, whose author d’Alembert had provided with information. In 1757, he turned his back on Geneva and traveled once more. In 1758 he wrote the short philosophical novel “Candide, Ou l’optimisme”, which today is regarded as his best work. At the age of 64, Voltaire bought estates in the French border region near Geneva. He managed these estates innovatively and efficiently until his death. Together with his niece Madame Denis, his faithful secretary Wagnière and some other confidants, he spent the last part of his life in Ferney, which was to be the zenith of his career. In February 1778, Voltaire traveled to Paris to attend the premiere of his new play Irène. He was received like in a triumphal procession and could hardly resist the honours and invitations. On 30 March, for example, he was entrusted with the direction of the meetings of the Académie française for the next trimester, and on 7 April, in the presence of some 250 Freemasons, he was admitted to the Paris Masonic Lodge Les Neuf Sœurs. Shortly afterwards, Voltaire died at the age of 83. Voltaire’s creative writings were at first dominated by poems. One of his most famous was the ‘Henriade‘, which was a great success in the 18th century and was translated numerous times. His poetry and prose was characterized by his unique style of writing very ironically and criticizing political systems clearly without unnecessary exaggerations. Most typical for his style was the satire ‘Candide‘, which opposes Gottfried Wilhelm Leibniz‘ optimism, the aristocracy in general, the Inquitision, as well as slavery and war. 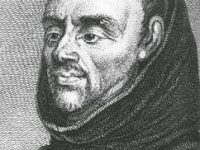 His philosophical works were highly influenced by his views on religion. Contrary to most philosophers during the Age of Enlightenment, he saw himself as a deist and spread his ideas not only concerning Christianity, but also about the Islam. This evolving religion’s leader was called “the founder of a false and barbarous sect” by Voltaire. Still, he supported religious tolerance in general and requested all Christians to do the same. Even though his views on society, religion, and politics were highly discussed and counted as controversial all his lifetime and beyond, he was one of the most influential philosophers of the Enlightenment period, along with Montesquieu, Rousseau, and John Locke who critically affected the thoughts of the French and American Revolution. At yovisto academic search you can learn more about the exceptional character of Voltaire in the Fall 2010 lecture of MIT Prof. James Paradis about ‘Voltaire and the Accidental World’.